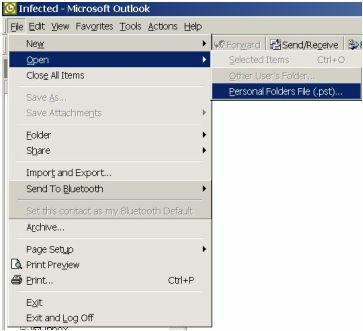 Find Outlook data files on your hard drive and make safety copies. Restore them if catastrophe arises (or you just deleted the wrong messages)! Microsoft Outlook is one of the world's most used software's, having become the "the facto" standard in sophisticated email clients. It is particularly popular in the corporate world, but has a huge domestic and small companies user base also. The reason is that, while originally distributed only with the Microsoft Office package, Outlook is nowadays bundled with most OEM (PC manufacturers pre-installed) Windows XP. In another words, it comes preinstalled with the PC. Corporate users usually use it to read the corporate email system, which processes both internal and internet emails. Home and small company users usually use it for internet mail only, as they do not have internal email systems. Corporate emails usually store emails on the server until the user decides to copy it to local archive files. Home and small company users usually download their email from the server directly to their local harddisk storage. Making backups of your email files is more trouble than it should, as Outlook hides its storage files from its users. But if you know where to find them, it is easier than you believed. 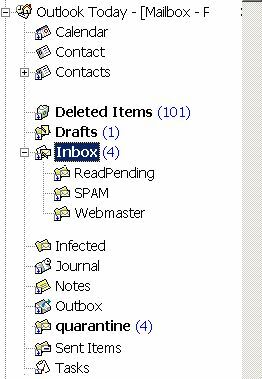 Server based mailbox backup is in the IT Department domain. Leave it for them. It should be done professionally and, if you're based in the USA, it's even regulated by law (email messages have to be kept as potential proof for a legally mandatory period). However, corporate mailboxes also have, usually, a size limit. Otherwise, the server would grow forever and would become unmanageable. 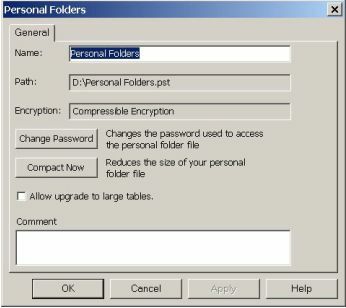 To reduce the occupied size you can always move messages (either by copying or moving) to a personal archive. In some corporations, this is even advocated by the IT department email rules. Once copied to a local archive, emails will be stored on a local hardrive file, where they can be archived and backup'ed by you. Non-corporate versions of Outlook will use a local storage and corporate user can also have them as alternatives to the server mailbox. 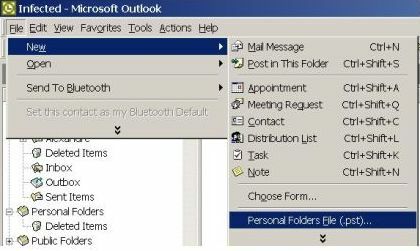 Outlook default email for them is Personal Folders, but they can be renamed. PIC 3 shows an example. 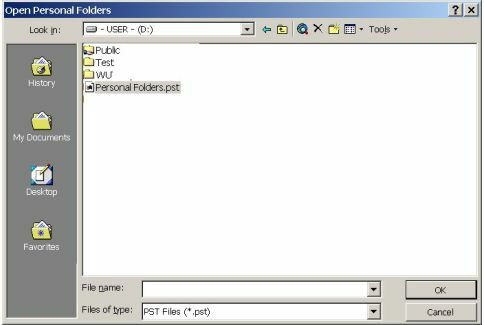 1) Place the mouse over the Personal Folder heading on the Folder List. Use the right mouse button to get the context menu. Select Properties. 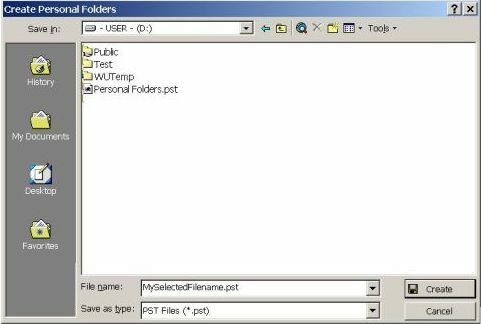 Note that the file appear on Windows as NOT being related to any application (no application Icon) and you can't open it by double clicking with the mouse. Renaming the Archive: you can rename the archive name on the Outlook Folder List tree (PIC. 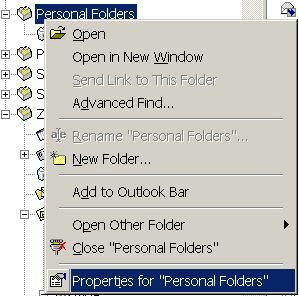 3) by changing the name field just above the Path, on the Advanced Properties dialog (the top field showing Personal Folders in PIC. 7). 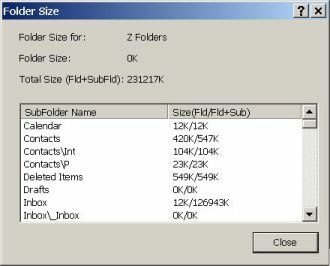 Outlook archive files have a maximum size of 2GB. If you go past the limit, your email file will become damaged and you will not be able to use it without repair. You should check its size regularly because Outlook won't warn you when it's reaching the limit. Option 2 is best because it will tell you how large is each sub-folder, allowing you to better manage your allocated space. Note that archive files always grow in size. Deleting emails won't automatically shrink them. You have to do it manually using the Compact Now button on the Advanced Properties dialog (PIC. 7). 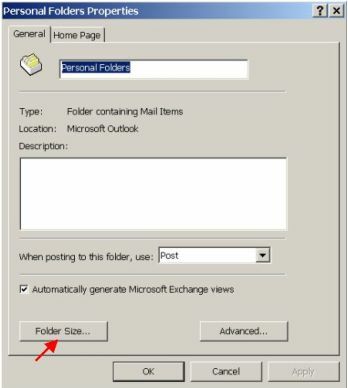 Once created, the new archive will remain on the Outlook Folder List until it is manually closed or if Outlook can't find it later (if it is removed or it's path or filename on disk is changed). Don't use memory sticks and USB Drives for long-term backups. They are good for regular backups and to transfer files between machines, but not for long-term storage (and it doesn't make economic sense - they're expensive). It is good backup practice to have regular backups into rewritable media and long-term backups in write-once media. Regular backups are used for restoration (if you have archive corruption or just deleted the wrong message, just recover it from the latest backup). You just delete the last one when you do a new one. But you should have long-term backups now and them - at least annually - to permanent media. Label it correctly and, in case you need it, you will be able to recover your files as they where on some precise time in the past. You may compress archive files to make them smaller using any file compression utility like WinZip or even Windows XP own compressed folders. But you cannot directly to recover messages from the compressed file. It is good for storage purposes only, it will have to be uncompressed for opening and message recover. Open Outlook. The backup archive will open in place of the (corrupted or damaged) archive file as they are in the same place and have the same filename, "fooling" Outlook into thinking it's exactly the same one; Browse it for the content you're looking for. Warning about CD/DVD and compressed Backups. 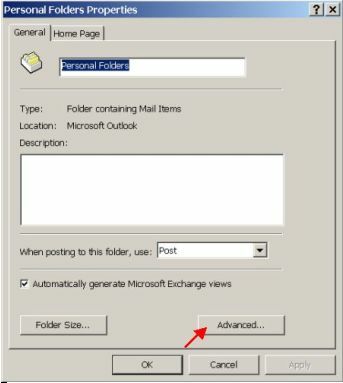 Outlook enables you to directly open any and multiple email archives, as already explained in this tutorial. But there are restrictions. You can only open uncompressed (not Zipped) files from a hard-drive. Trying to open an archive directly from CDs, DVDs or a zipped file won't work.